With General Clark came to Louisville, in 1778, John Haggin and John Montgomery, and both were captains in his command. They landed at Corn Island, in the Ohio river, at the head of the falls, opposite where Louisville now stands. In 1782 there lived in Louisville, with their families: John MacManus, Hugh Cochran, John Doyle, John Caghey, John Cunningham, Michael Humble, John Handley, Andrew Hines, Thomas McCarty, Thomas Purcell, James Sullivan, James Brown and John McCarland, and most of these came with Clark. That was a pretty good Irish settlement for those days when a man who went out to plough corn was obliged to take his rifle along to defend himself against hostile Indians. Source: Conquest of the Northwest Territory by George Rogers Clark and his associates. During 1773, the first survey made of Louisville was made by Captain Thomas Bullitt; his associates were John Fitzpatrick, James, George and Robert McAfee. Dr. John Connolly owned two thousand acres of land in Louisville in 1773. Colonel John Campbell, a native of Ireland and a resident of Louisville about this time, was afterward a member of the first State Constitutional Convention, held in Danville in 1797. A proud full-blooded Irishman in this region was Colonel Campbell. He was Speaker of the Kentucky House of Representatives and after wards a member of Congress. He was often a delegate to the Presbyterian Synods in Kentucky and was always spoken of as an Irishman, without any prefix, though he was born in the province of Ulster. Colonel Campbell was a faithful patriot, and being a large landowner, sent for many of his countrymen to come to Louisville, which was another cause for swelling the early Irish immigration to Kentucky. Simon Kenton, the companion of Daniel Boone, came to Kentucky in 1771 and was of Irish parentage. His father was born in County Donegal. Another Irish companion was Michael Stoner. While still a minor, Kenton fled from his state because he believed he had killed a rival for the hand of a fair Virginia damsel. Simon Kenton record said that in 1775 he located in the Upper and Lower Blue Licks where there was an abundance of game, and he considered it a paradise. When in Kentucky, assumed the name of Simon Butler. He was known for his many deeds of personal bravery; indeed, it was asserted by many that he was the greatest Indian fighter the country ever produced. In 1782, upon hearing that the man he had struck down with his fist was still alive, he resumed his name, and in 1795 served as major under General Anthony Wayne. He founded the Kenton Station and Maysville, and planted the first corn raised in the state north of Kentucky river. Michael Stoner, one of his companions and Thomas Kennedy, another Irishman, built a cabin and made some improvements on Stoners fork of Licking river, in Bourbon county in 1774. Source: Early Irish Settlers in Kentucky by Edward Fitzpatrick, Louisville, Kentucky. John C. Calhoun, famous Statesman from South Carolina and the seventh Vice President of the United States from 1825 to 1832, had numerous relatives in Kentucky. Major William Love, an early Justice of the Peace,was married to Esther Calhoun, a first cousin to Senator Calhoun. Major Love was a native of South Carolina, 38 years of age at the time that he was first Justice in the area; also known to snore, according to the article. Source: The Register, Kentucky Historical Society, Vol. 69, pp.265. While genealogists work to preserve their family histories and relate the interesting tales to their children and grandchildren, there is a disruption of traditions and beliefs encircling the globe. Every generation has treasured its ways, from the way we speak, walk, dress and act, to or spiritual beliefs. And yet there has been no American tradition so valued as our personal freedom, and the right to worship our God. This generation has gone awry with its preference for the re-written history of the conduct and actions of our ancestors. Yet, somewhere back in time, in the past of the disruptor's, lies some very startling facts concerning themselves and their ancestors. If they traced back several generations of their lineage and found some brave patriots who loved freedom and the right to worship so much they they gave their lives and fortunes for it, perhaps a greater appreciation of former generations would awaken them from the deep sleep of ignorance and stupidity. Perhaps it is up to the old folks to restore peace, love and appreciation for those who came before us by writing more articles and telling more stories on the Internet of how the ancestors sacrificed everything for their posterity! Then, while the disruptor's are wasting their youth spouting anger, marching in parades, littering our streets, vandalizing homes and stores, etc., we will be writing the history of today, of how much we still care for our traditions and values. 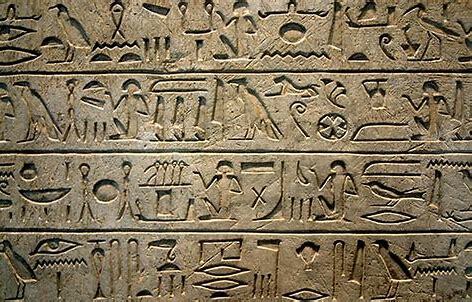 Throughout the ages, mankind has recorded history in a number of ways, viz: clay tablets, brass plates, papyrus, cement, etc. The case of erecting monuments is universal and dates back to ancient times. 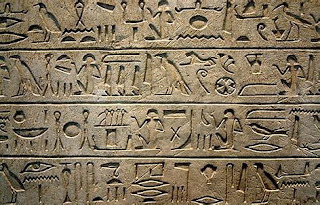 The cuneiform writing of the Sumerians, Egyption hierglyphs, Cretan hieroglyphs, Chinese hieroglyphs, Indus script and the Olmec script of Mesoamerica are but a few methods used in the preservation of historical events and populations. Not to mention monuments, gravestones, footstones, markers, obelisks, plaques and cairns which were included in ancient cities, towns and kingdoms across the map. And America came along and adopted that same practice. Once, while visitiing the Gwinnett County Court House, I noticed a monument in front which told about the militia driving an Indians war party from Georgia in 1834. The list of those who fought included the children of one of my ancestors! For years I had searched for the names of his children and here was the date and place of an event which recorded their deaths! The monuments are a great help to remembering historical events which occurred in other times. That makes the vandelism and destruction of our historical monuments as one of the worst atrocities in all the history of mankind on this earth! In tracing the ancestors, the minute that we assume something, it is wrong! Family traditions, naming of children, and certain scenarios seem to fit the puzzle, so we pencil it in. Years pass, and we still have not found anything concrete the prove our theory. But the entry is like an old friend, so we hesitate to erase it. Somehow it gets published on the Internet. Because someone else has the same entry (probably originated from ourselves), we add credibility to the situation. This is just one way in which errors get repeated. There is nothing easy about this work and mistakes are made by the bushels. It is said that tens of millions of Americans descend from King Edward I of England. We are talking about 13th century. 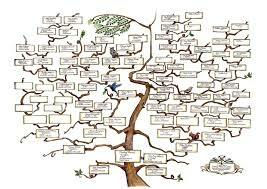 Since the family tree doubles with every generation which is traced backwards, some 239.33 generations have since passed . Now, let us image a lineage chart containing all of his descendants published in the traditional individual pedigree format upon a World Chart! And that the computer program merged a criteria of data. Now, think of the individual errors (names and probable dates, spelled variously, and repeated) on individual family group sheets all pointing to the King. Because of name variables (and spellings) and estimated date lines, the same names of his children get repeated millions of times. As more and more charts go online, we discover a conglomeration of conflicting data. The best means of preventing duplication is to add the proof of each name, date, place, etc. so that others may double-check the information. Pendleton Co. KY Wills and Estates. See Names. When your genealogical research turns up zero, establishing facts for elusive ancestors is tough. One solution is to research around the facts and thus eliminate persons in that generation. We need to determine who is whoand prepare a family group sheet for that family irregardless of whether or not they are directly related. This process documents a family and eliminates them. First, locate your ancestor's surname in nearby counties and states. Then search court house records -- deeds, wills, tax records, estates, etc. and establish the facts for each person. Next, complete a family group sheet on that family, noting the sources you used. 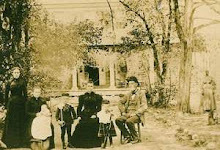 Proceed accordingly on all questionable families, thus identifying each person of the era and location. Third, examine each family group sheet. Look for nicknames. For example, Betsy, b. ca 1757 could be your Elizabeth, b. 1759. Fourth, once everyone is identified you probably have a number of loose persons for whom you need to discover more information. Try to trace that person so that he may be either identified or elimated; use marriage records, estates, etc. In the earliest pioneering days the eldest son inherited the farm while others went into other acceptable occupations such as physicians, ministers, etc. This took them away from the home place. In other words, erase confusion by identifying and eliminating all families in prescribed areas having your same. Lincoln was one of the original three counties formed from a county in Virginia called "Kentucky County". Three counties were separated from Virginia to form the Commonwealth of Kentucky in 1792; viz: Fayette, Jefferso and Lincoln Counties. The county seat is Stanford, Kentucky. Overton, Clough | Patterson, Benjamin | Potts, John | Radcliff, Charles | Robertson, James | Rose, Lewis | Rutherford, JohnSharpe, John | Shirley, Michael | Shield, Hugh | Smith, Henry | Smith, James | Stade . . . more . . . The modern age of technology is wonderful! However, we must not rely upon genealogy programs to find the ancestors. 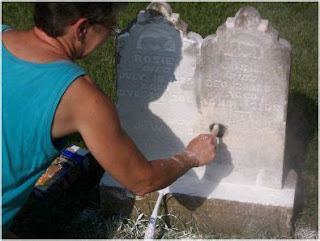 Everyone knows that tracing the family roots is a tedious process involving many long years of hard work. To the new researchers out there: one cannot just sign up somewhere and expect to find the family tree. Should you think that this is the case, the work itself is riddled with errors. For this reason connecting to a World Tree is not advisable. One must keep their errors to themselves, not share them! That is, until they are resolved with factual evidence. 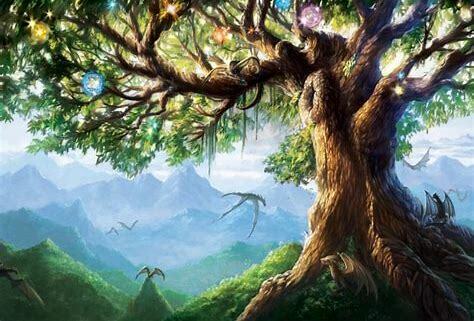 Otherwise, in the end, that World Tree will be a trash dump no one wants to tackle. Already the term "junk genealogy" has emerged and cleanup is near impossible. The computer programs of today merging data are not cutting it. Hence, human beings must continue to control genealogical research and maintain it privately on a simple computer program. Should Genealogists Continue to Visit Court Houses? Should one continue to visit the old court houses, especially considering all of the genealogy added to the Internet? I have been visiting court houses since 1964 and have to tell you that some pretty uncomfortable changes have occurred. The labor force is a problem. In some instances, those who work in the office of the clerk of the probate court do not know what a last will and testament is, much less how to find the old will books. Another disturbance is the sloppy manner in which the old books are treated. If most of these counties had not been microfilmed in the 1950s, the information would be lost. Faded ink, moisture damage and the like make certain records virtually impossible to photocopy. Another issue is "off-site storage". We are in the age of having to store old books because of a shortage of space. When I recently visited a court house in Georgia, I had to wait several days for the "off-storage" books to be sent to the court house! This was really inconvenient, since I had traveled there from Atlanta. Some of the old books are finding a home in local historical societies while others are in the possession of the State Archives. How would one know these things? Additionally, in the old days a clerk might take a book home to work on it and this maneuver prevented it from being included in a fire. Occasionally some court house books show up in antique stores and attics! These things exist. What I am saying here is that all records were not microfilmed. Yet all is not lost, however. Avid researchers, like myself, seek such collections. Some of these private collections are reflected in my books and in databases on Kentucky Pioneers. Happy hunting to members! It is noteworthy while tramping through old graveyards that while there are broken and unreadable tombstones, many graves went unmarked.Perhaps you noticed some impressions in the soil which appeared to be graves of children? A great deal of work is required to ascertain who the missing children were of a particular family. From one census 10-year span to the next, all small children should reappear. Yet, they do not. We are aware of these children, but do not know happened to them? Are there common dates in families or in the cemetery which suggest measles or typhoid fever? The cemetery tells its own story, if one examines it closely by viewing all of the tombstones. In past eras when the keeping of the family bible was important, a family register was maintained. Such bibles (if you can find one) fill in the blanks left out by cemeteries. Perhaps someone posted an obituary an old newspapers, however, such a notice could appear in a regional newspaper, or even one in another State where the person had relatives. There is one thing for certain. The search requires many long hours of tedium. How many people, do you suppose, were lost to history? Local libraries regularly conduct book sales. For the historian, attending these sales sometimes turns up surprises. There are still books in public hands dating from the mid 1800s. They are very rare and fragile, but are disposed of by libraries for that same reason and the fact that the modern age no longer considers such books as essential to learning. Sometimes libraries have duplicates of genealogy books which are placed in the sale.